Your business is constantly generating data. Whether it’s in the form of an Excel spreadsheet, an email, a group chat, an audio file or a financial report, all of this data can prove to be invaluable — if you know how to use and interpret it. Big data analytics makes this possible. A reliable analytics solution has the power to analyze, organize and interpret data in ways that are actually meaningful to you. Spot trends and make predictions about what is to come, share insights and receive answers to your questions – fast! 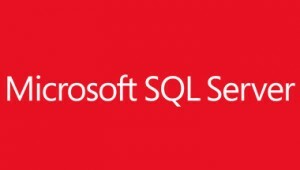 Unlock new insights with Microsoft SQL server. Featuring enterprise-ready BI technologies, large-scale data warehousing, managed self-service capabilities and powerful analytics, SQL server makes it possible to build powerful and high performing analytical models at the multi-dimensional, tabular and data mining levels. SQL Server Analysis Services platform empowers businesses to report, visualize and take advantage of predictive analytics like never before. Best of all, SQL makes all of these insights available through the familiar Office tools that you know and love so that employees of all skill and comfort levels can benefit. Reporting – Generate reports via intuitive interfaces, extend reporting to the cloud, develop self-service reports in numerous formats, and share reports with ease. Predictive Analytics – SQL offers a highly advanced data mining solution featuring rich, innovative algorithms that identify trends and uncover non-intuitive data relationships. Analysis – Empower your BI application developers with SQL. The server’s BI Semantic model makes it simple to build even the most complex analytics solutions and interact with data faster than ever before. Streaming Data – Monitor, analyze and act on data in motion through StreamInsight (working within the SQL environment). Master Data – Manage, maintain and store master data structures that are essential for object mapping, reference data, metadata management and hierarchies for data integration operations. Data Warehousing – Enjoy the power of a mission critical data warehouse platform that’s affordable and simple to operate and maintain. Data Integration – Create packages for automating tasks like copying and downloading files, sending email responses, updating data warehouses, mining data, etc. Enjoy a 360-degree view of your most important business metrics all in one place with Microsoft Power BI. This powerful solution makes it possible for users to take an in-depth look at the data behind their dashboards with just a single click of the mouse. Intuitive tools make it simple for you and your team to find answers that make sense for reaching your business goals. Create dashboards quickly and easily and access data and reports form anywhere, any time, thanks to the Power BI app. Power BI goes beyond just analyzing data and sharing insights; it can unify your entire organization’s data, whether it’s located in the cloud or on-premises. 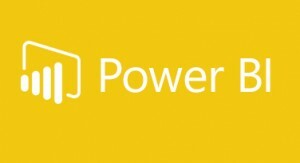 Combine Power BI with SQL server through Power BI gateways for even more leverage. Data Monitoring – Power BI on the web allows users to monitor important data from across the organization as a whole. Reporting – Power BI Desktop provides users with the tools required for transforming, analyzing and sharing data. These reports can be shared for easy collaboration. SQL Sever Analysis – Construct robust and reusable datas over your data to create consistency in your organization’s reporting and analytics. App Integration – Your app can be integrated with Power BI in order to deliver rich, interactive reports along with real-time dashboards to your team.